Combination skin has its love/hate moments. A main concern of mine was excess shine that would appear around the afternoon, despite using face products specific to my skin type. 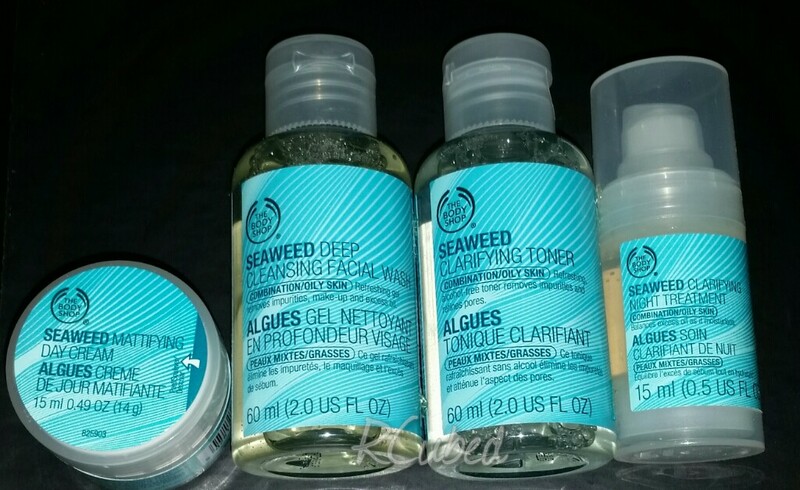 After hearing good things about The Body Shop’s Mattifying Day Cream, I decided to purchase the starter kit. The kit contains a face wash, toner, day cream, and night treatment. I wanted to give this a thorough review after using it for a few months. Being that it’s been at least 3, I can say that this kit fulfills its purpose. Just keep in mind that if you do decide to purchase it, it’s targeted mainly to control oil. As for those of you who also experience blemishes, I suggest you also use any products for that in addition to this kit, be it a spot or overall face treatment. None of the products from this kit dry me out, which is a plus. Not sure if I’ll immediately purchase it again, but I will consider it after I try to clear out the problem spots on parts of my face. 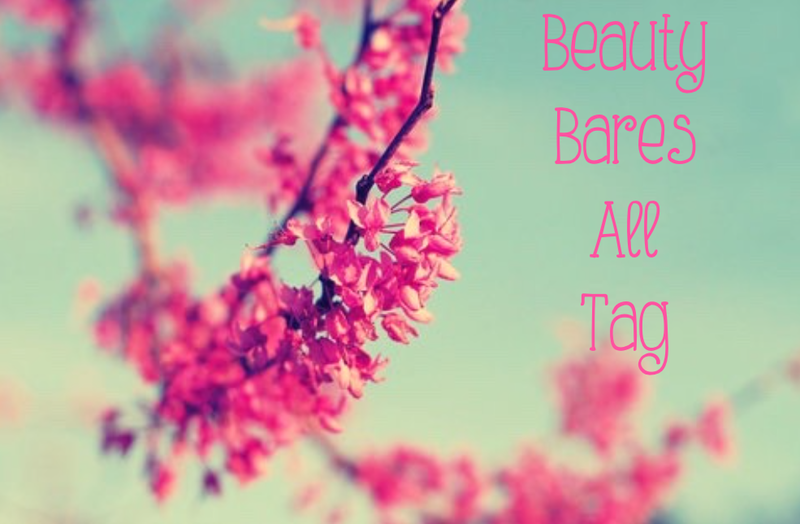 Here’s a fun tag I found on beautyeastcoast’s page. Breakfast, lunch or dinner? Must I choose?! I’ll say brunch then. After eating a bowl of cereal, do you drink the milk? Sometimes. When you drive do you listen to CDs, the radio or your phone? Mostly radio, but when it gets to repetitive, I switch to Spotify on my phone. Window or aisle person? Window. Fold or crumple? What a vague question. In reference to paper, I usually tear it. Shampoo then body wash or body wash then shampoo? I go from head to toe, so shampoo it is. Are you typically stressed or relaxed? I try to find a balance somehow. Do you like to have a schedule or go with the flow? Schedule. As a child, what did you want to be when you grew up? A dancer. Prankster or no? Not really. Dressed up or dressed down? Dressed down. If you could play a musical instrument, what would you play? Drums. East coast or West coast? Born and raised in CA, so Wessyde! Do you sleep with sheets in or out? Always in. Have you ever stolen anything? Only thing I remember giving the 5 finger discount was a cheap eyelash curler in high school. Would you believe I still have it? Do you smile in every photo? 90-ish percent of the time. Ever peed in the woods? Nope. Concert or theme park? Theme park. Animated or reality? I prefer the former if it’s a tv show or series. Not a big fan of reality TV. Letter or email? Snail mail is always more thoughtful. Do you own a record player? Nope. I’d love to though. Do you speak other languages? Very little of Spanish and Tagalog. Can you curl your tongue? Yep. Can you touch the tip of your tongue to your nose? Nope. Did you ever win a spelling bee? Nope, but I should have tried to join one. I was pretty good at it in elementary school. Do you believe in ghosts? Meh. Do you believe in aliens? Nah. As with other tag posts I’ve done, I’d love to check out your answers if you’ve done this as well. Thank you for the nomination, FunLovin Travelers! I will answer the questions given since I’ve been previously nominated before. 1. Where you find your blogging inspiration? It comes from different sources, but most often from when I decide I’d like to share or write about something that interests me. I do like to do the occasional blog tag as well if I like what it is on another blogger’s page. 2. How did you come up with your blog name? I’ve mentioned the back story to this a few times. My initials are 3 Rs, and one day a friend called me R Cubed. It’s stuck with me ever since. 3. What is your favorite holiday? That would be Christmas since it’s always when I get to spend time with extended family. 4. Will you be dressing up for Halloween? If so, what is your costume? I will dress up this year and I’m excited for what I’ll be wearing. I still have a few parts of it that I need to buy, but so far it’s coming along nicely. If you follow me on Instagram, I will post at least 1 hint as it gets closer. 5. Which do you prefer, coffee or tea? If neither, what do you prefer to drink? I try to alternate between the 2. Coffee is what I usually get before heading to work, but I also like a day of afternoon tea with friends once in a while. For those of you not into Monday Night Football, but love Star Wars, here’s the latest trailer. Excited for December now? I know I am! Haven’t posted what I’ve been up to with Project Life lately, mainly because it’s taken a while to print and gather the photos I wanted to include. But I’m finally done with the pages from the past few months. Currently working on my September page and figuring out what to do for this month. Jumping on this tag after seeing it on The Life of Kristyn. 1. Spring, Summer, Winter, or Fall? Don’t have a sole favorite. I like each of them for different reasons. 2. What does your ideal date notice and compliment you on? My smile, sense of humor, and how I’m not shy when it comes to food (heheh!). 3. Would you rather give up lipstick, hair products, or mascara for an entire year? As a lip gloss junkie, I would say lipstick. 4. If you could leave just one message for the world to hear, what would that message be? Treat others how you would want to be treated. 5. A genie appears and offers you a wish. What one beauty task would you never perform again? Concealing blemishes/dark spots. It’s become more frequent lately. 6. You have two options: money or happiness? Additionally: Infinite wardrobe or flawless face? Happiness definitely, and an infinite wardrobe. 7. Are you a tea lover, a coffee hound, or a fan of something stronger? I do a bit of the first two, and I sometimes like a good cocktail now and then. 8. Have you had a “perfect day”, and what did it entail? Spending a whole day with a close friend during one of my extra days in San Diego following Comic Con weekend. It felt nice to just hang out and not worry about having to be on a schedule. We had dinner later my last night there with a few other friends. 9. What do you splurge on the most? Beauty products. 10. I have not lived until I’ve seen ___. The Wizarding World of Harry Potter at Universal Studios Florida. Yes, they’re also building one here in CA, but I haven’t been to the Universal in Florida, ever. Plus it’s bigger. I’d love to check out your answers if you’ve done this tag or plan to do so. Feel free to share the link in the comments. I’ve known for some time about sheet masks, but have never considered using them until recently. I had purchased one at an Asian store in a nearby mall, and it will probably start collecting dust if I don’t use it soon. Then I had won a blog giveaway in which a few of them were part of the prize. My Beauty Diary masks have expiration dates on them, so I had to make sure I didn’t wait too long before trying them. The Black Pearl mask caught my attention immediately. According to a description I saw on Amazon, it contains a whitening essence that helps to revitalize and hydrate the face. Since it was my first time trying a mask of this type, I left it on my face for 15 instead of the recommended 20-30 minutes. It was easy to apply and fit my face well. It was very saturated with the essence, so I was a bit paranoid that it would drip onto my neck while I had it on (it didn’t). Upon removing the mask, I massaged the remaining essence into my face until it was absorbed. My skin felt nice and my face overall looked refreshed. I look forward to trying the remaining masks along with the one I bought a few months back. I plan on buying more masks from My Beauty Diary, most likely online, but I’m not sure where to check that sells a legit product. If you’ve used them, I’d love to hear your suggestions.